Fresh and cuddly? I didn’t think those two words mixed in the same sentence but Studio Meez may have just proved me wrong. 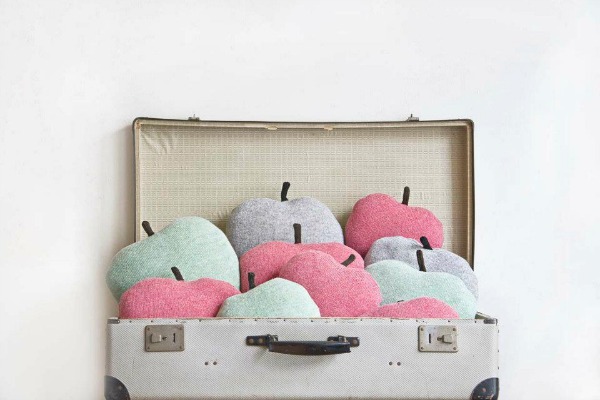 With their divine summer colours and super soft feel, I’m pretty sure an apple cushion has just become a must-have accessory – how adorable are these? Studio Meez is a small independent label based in Ghent, Belgium. It is the creation of graphic designer, illustrator and devoted knitter, Karolien Van de Gaer who makes everything in her collection by hand in her studio. While it is hard to look past the deliciously soft, hand-knitted apple cushions, Studio Meez has some other great products you don’t want to miss. 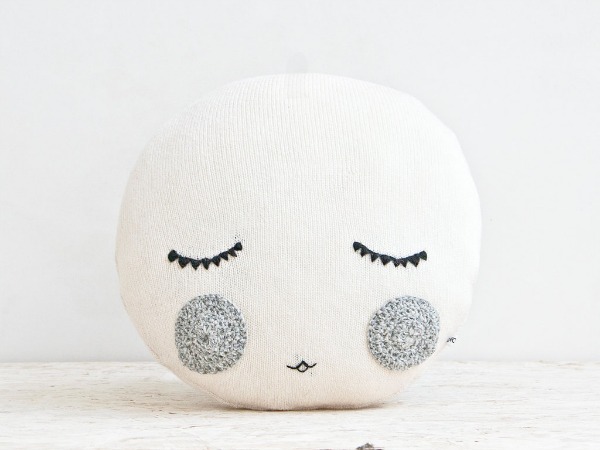 Like this goodnight cushion that is perfect for keeping your little one’s bed warm while they are out playing. 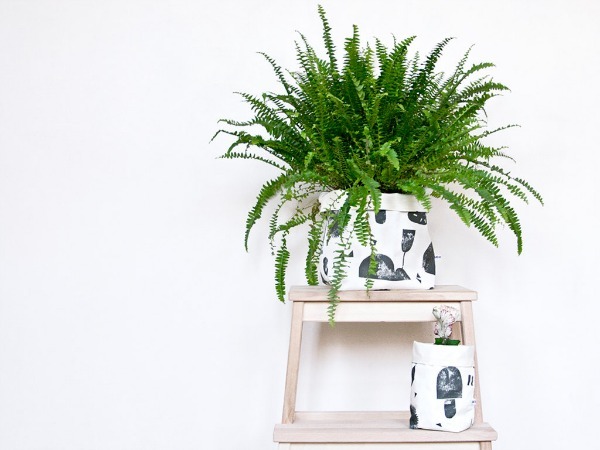 Or the fabric storage container that has been printed on organic cotton linen – what a fun take on this recent trend. 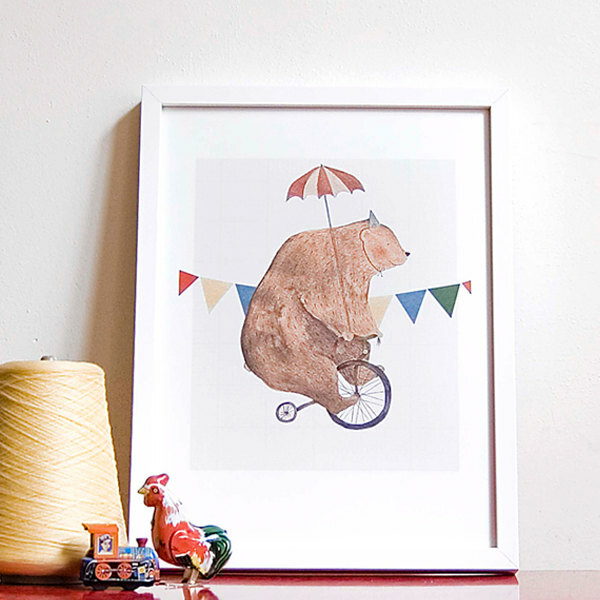 What about this vintage inspired watercolour and pencil original illustration to bring a sense of wonder and excitement to the walls of a special nursery. An ever-changing selection of handmade Studio Meez products are available on Etsy with glowing reviews. There may be a bit of lag time in delivery from Europe but Studio Meez does ship to Australia.